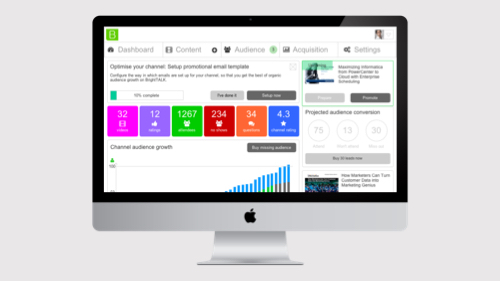 One of the core aspects of BrightTALK platform is the ability for users to search their webinar content and watch that content. 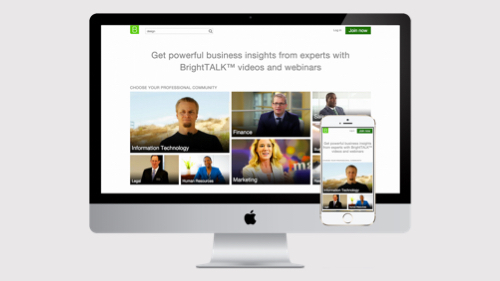 BrightTALK player experience is core to their audience members. In fact, often a time it is the only page anyone ever sees. Further the experience is made more complex by the fact that players are embeddable in 3rd party sites too. UX work done on this section of the platform resulted in three fold growth in user number and user engagement rates. 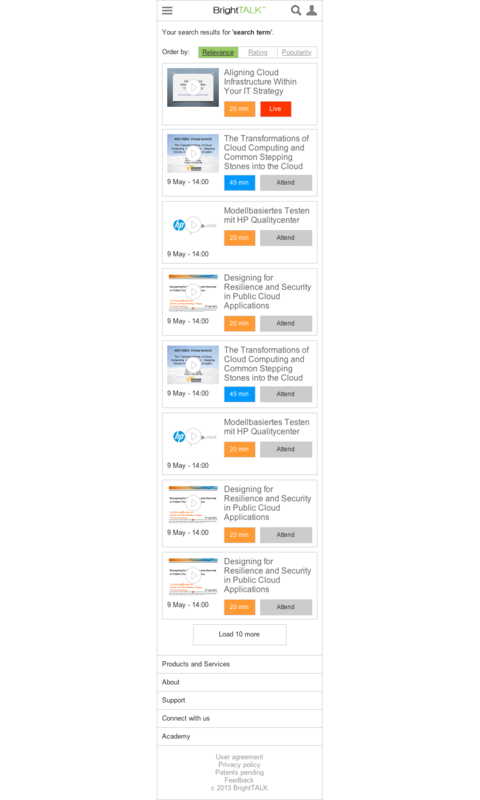 This is a huge improvement for a specialised B2B platform of this kind. 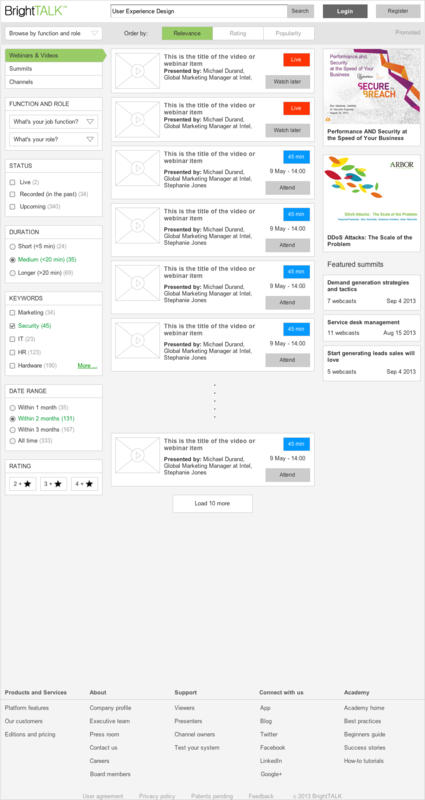 I took a principle of standardising the approach to UX design pretty early on with BrightTALK. It's a simple matter at most places, but I carried out this exercise single handedly while doing rest of the design work. 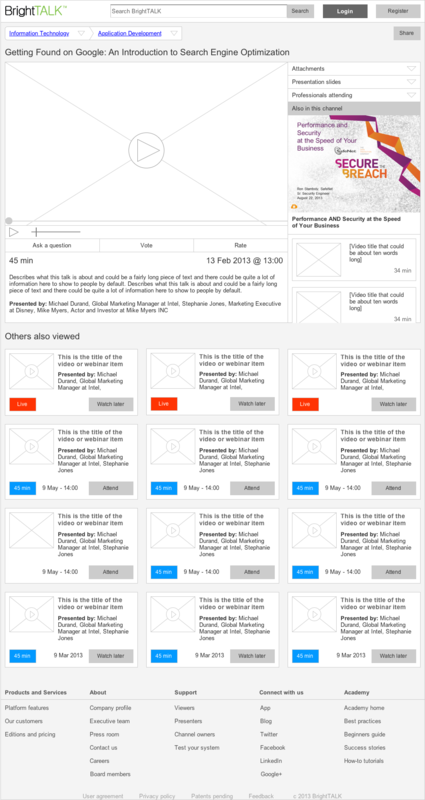 I helped a company of 100+ people move towards a proper, standardised, modern design framework. I produced a style guide, followed by an emerging pattern library, which developers took forward to implement in HTML and CSS. Search experience followed the best practices from world class leaders in these fields. Everything I did was done with extreme responsiveness in mind, so that the experience would work on all web enabled devices seamlessly. 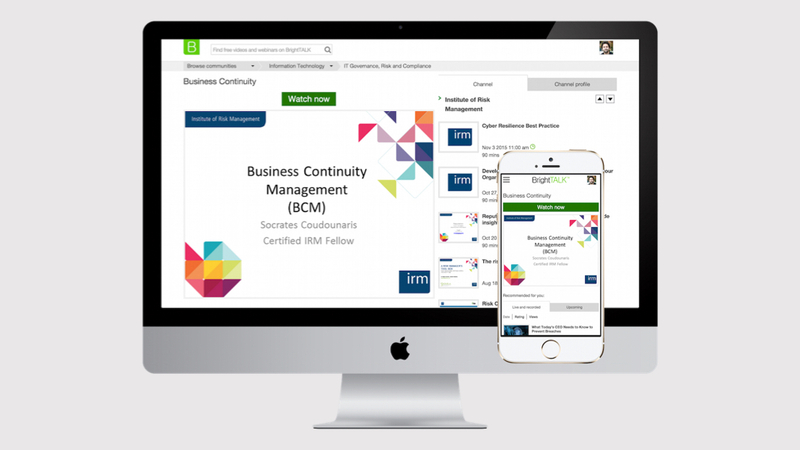 Over my time with BrightTALK we also turned player experience into a completely responsive part of the platform and made it integral to presenter experience too.